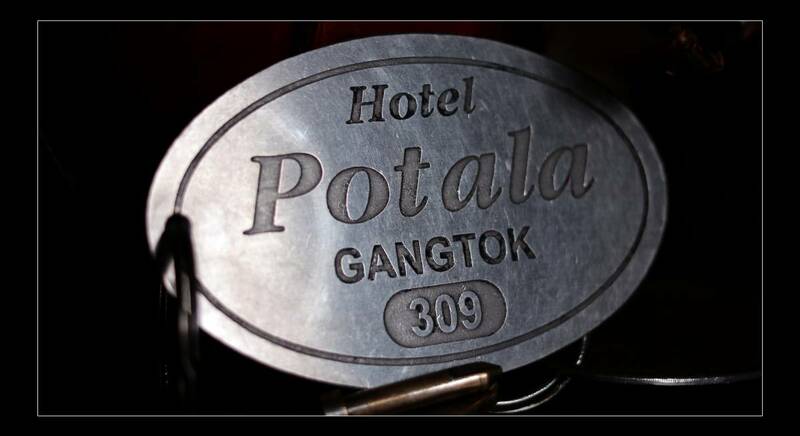 Hotel Potala is located on the historic silk route , Tibet Road where Gangtok was connected to Tibet and silks and spices were traded hence it derives its name from the historic Potala Palace in Tibet. It is located just a stroll from M. G. Marg , we can say it is an extension of the mall itself as it has many shops and restaurants to cater to tourists. As it is located just above the mall and on the outer side of the ridge , it has unobstructed views of the Kanchenjunga Range , valleys and of the town below. Hotel Potala is located at a distance of 2. 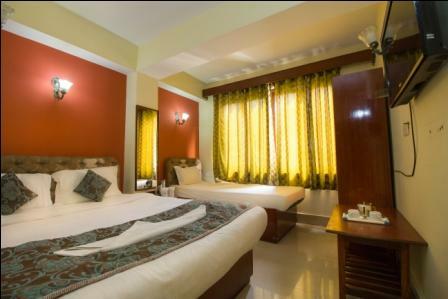 9 km from SNT Bus Stand and offers facilities like lounge, restaurant, laundry and doctor-on-call. 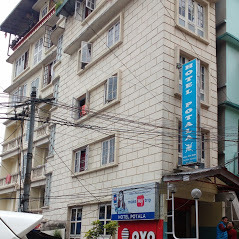 Hotel Potala, situated in proximity to the SNT bus stand, offers pristine views of surrounding mountains. 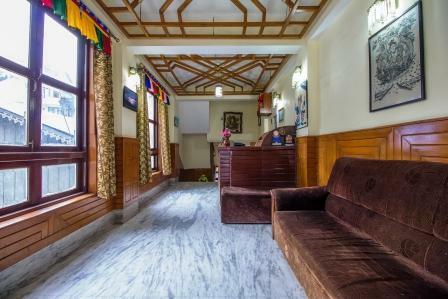 Hotel Potala is situated on Tibet road and is proximate to Anjuman E Islamia (Approx. 1km) and Do Drul Chorten Monastery (Approx. 6km). It is close to many shops, restaurants and tourist spots. Guests must also visit Shingba Rhododendron Sanctuary, Mt. Katao and Phensong Monastery during their Gangtok visit. DOUBLE DELUXE - Hotel Potala ensures guests are at ease and experience utmost convenience during their stay at the hotel. 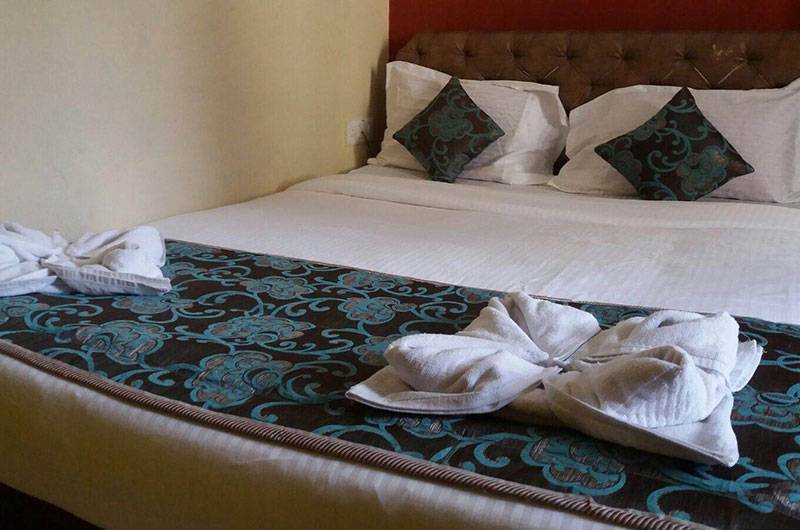 Various basic facilities include 24hrs front-desk, 24hrs room-service, daily housekeeping, parking, laundry, doctor-on-call. The in-house lounge is just perfect to relax while the pure vegetarian restaurant offers guests a variety of delicacies to savour. TRIPLE SUPER DELUXE - Hotel Potala ensures guests are at ease and experience utmost convenience during their stay at the hotel. Various basic facilities include 24hrs front-desk, 24hrs room-service, daily housekeeping, parking, laundry, doctor-on-call. The in-house lounge is just perfect to relax while the pure vegetarian restaurant offers guests a variety of delicacies to savour. TRIPLE BEDED ROOM - Hotel Potala ensures guests are at ease and experience utmost convenience during their stay at the hotel. Various basic facilities include 24hrs front-desk, 24hrs room-service, daily housekeeping, parking, laundry, doctor-on-call. The in-house lounge is just perfect to relax while the pure vegetarian restaurant offers guests a variety of delicacies to savour. FOUR BEDEB ROOM - Hotel Potala ensures guests are at ease and experience utmost convenience during their stay at the hotel. Various basic facilities include 24hrs front-desk, 24hrs room-service, daily housekeeping, parking, laundry, doctor-on-call. The in-house lounge is just perfect to relax while the pure vegetarian restaurant offers guests a variety of delicacies to savour. SIX BEDED ROOM - Hotel Potala ensures guests are at ease and experience utmost convenience during their stay at the hotel. 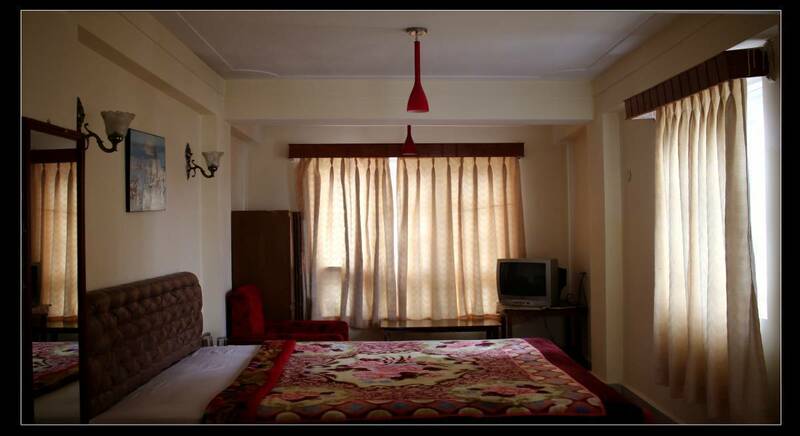 Various basic facilities include 24hrs front-desk, 24hrs room-service, daily housekeeping, parking, laundry, doctor-on-call. The in-house lounge is just perfect to relax while the pure vegetarian restaurant offers guests a variety of delicacies to savour. As it is located just above the mall and on the outer side of the ridge , it has unobstructed views of the Kanchenjunga Range , valleys and of the town below. Hotel Potala is located at a distance of 2. 9 km from SNT Bus Stand. Nearest airport: Distance from New Jalpaguri Railway Station: Approx. 115km Distance from Bagdogra Airport: Approx. 154km.